It's time to welcome the cheerfulness of spring. To help you enjoy this season I bring you a beautiful display of paper flowers to adorn your walls and poufs to sit back and relax. 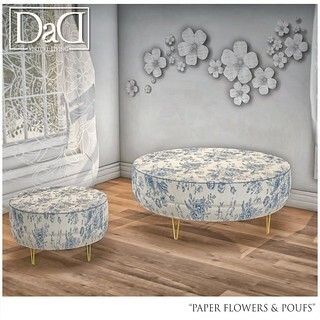 The paper flowers will be available individually and as a fatpack. The small pouf is available with single sits and the larger pouf in pg and adult version.